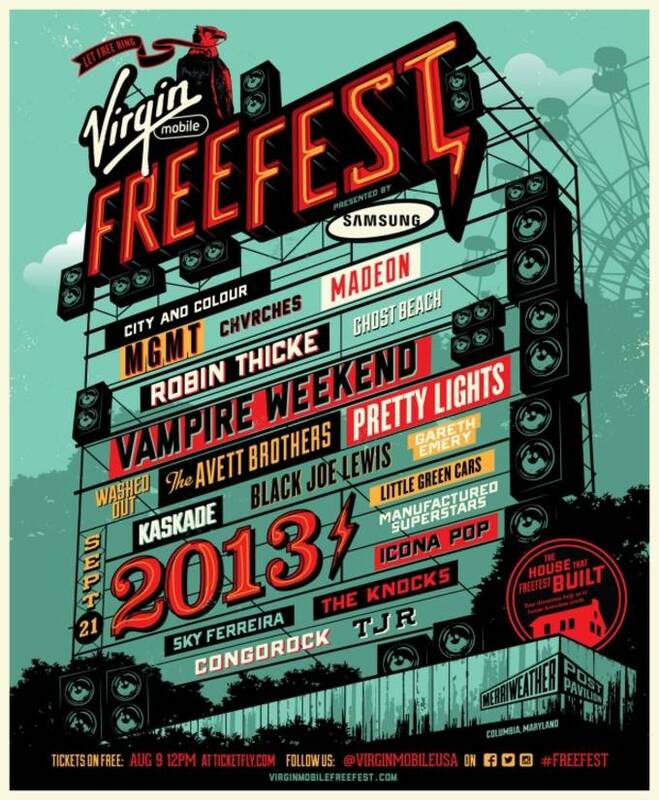 The 2013 Virgin Mobile Freefest has announced their line-up, and they have announced the line-up for their September 21 festival (which takes place at the Merriweather Post Pavilion in Columbia, Maryland), and the EDM contingency is serious. Joining major acts like MGMT, Robin Thicke, and Vampire Weekend are Kaskade, Madeon, Pretty Lights, The Knocks, Congorock, and TJR. Tickets will go "on free" on August 9, first to their Facebook and Twitter followers. While Ticketfly is waving the fees for the tickets, they do encourage donations, as all proceeds go to helping the homeless in the Washington, DC area.